The Equalizer was one of the most underrated shows of the 1980s, it was a great show, but it always lacked a certain intensity that the lead character needed. In this 2014 film adaptation of the series, Director, Antoine Fuqua, made sure that didn't happen again. Denzel Washington stars and can play anyone, but I find he's at his best when he's playing a dark loner like Robert McCall. McCall, a former CIA operative has retired and is attempting to live a normal life. Everything is going as planned, until he sees a young girl being abused, and decides to take action. McCall believe he's just going up against a local pimp, but discovers it's a lot more complicated than that. Washington continues to be at the top of his game, as the ageless wonder is once again spectacular. This film is everything I loved about the series, with a whole lot more action and intensity. Director, Antoine Fuqua, has been on a role after films like Training Day, Shooter, and Olympus Has Fallen, and he has become THE guy when it comes to action films. 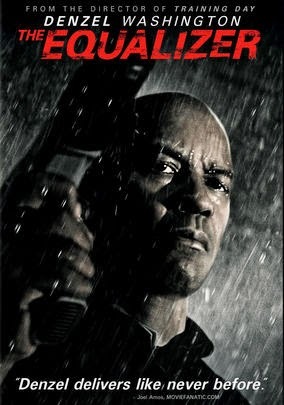 Playing off an established franchise and paired with Denzel Washington, The Equalizer has come back to life and is one of the most refreshing action films I've seen in a long time. Sometimes with a different team, what was once old, can become new again, and I was practically jumping out of my seat with excitement. As far as the continuation of the series goes, Fuqua is in the early stages of a sequel. It may not be a new TV series, but it's still something exciting for the fans, and I for one can't wait to see more.